Take your pick of specialty cut and wrap cheese, from bleus and bries to hard cheeses, swiss, raw milk and beyond. Our specialty cut and wrap service cuts to order, ensuring that your store will benefit from a longer shelf life at the time of delivery. 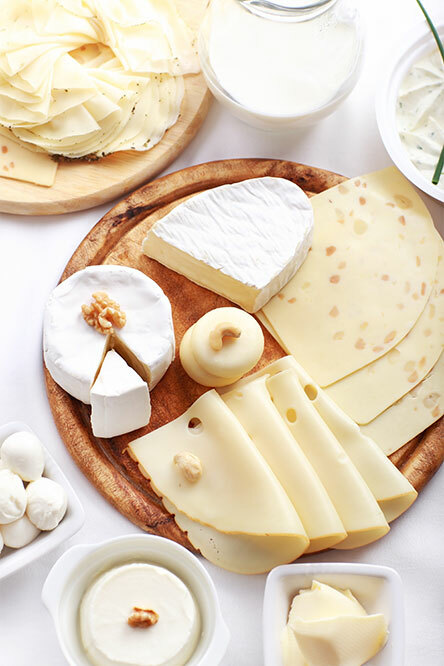 We provide customized cut and wrap cheeses for your store, deliver your cheeses with or without labels, and weigh and pre-price all ordered items upon request. Cases can be full or half wheels (blocks) depending on preference. For slower moving items, we offer the convenience of small case sizes under 10 pounds. Every fresh customer has the ability to customize how they want the cheese cut and sticker application. We price each individual piece for the customer, including doing ad pricing for short periods of time. We also offer a variety of marketing services to enhance your cut and wrap cheese program, such as our Cheese of the Month promotion.